After 6 Years am I still a Fujifilm Shooter??? When I decided to dump my Nikon gear and go mirrorless 6 years ago, mirrorless cameras were in their infancy. Only a few manufacturers were producing mirroless cameras and only 3 were making a interchangeable lens cameras. 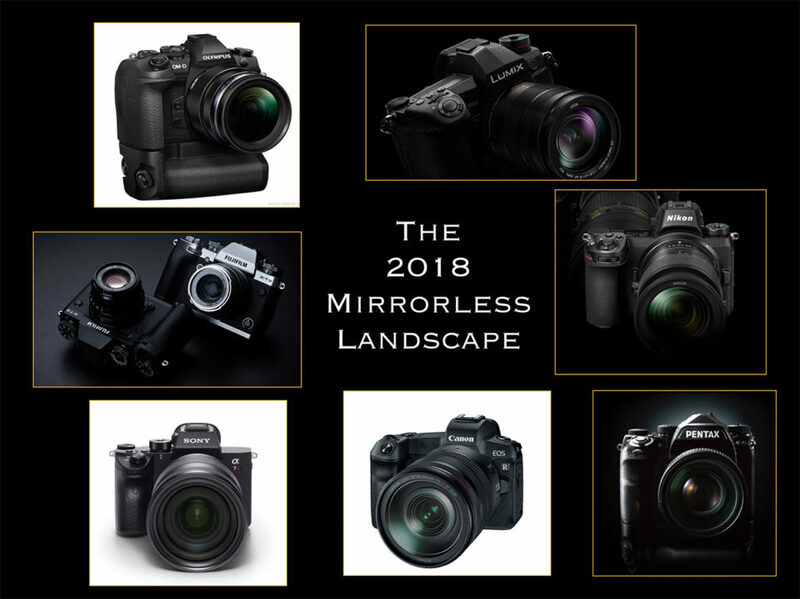 Now in 2018, with Nikon and Canon joining the parade, we have many choices of great mirrorless cameras. I’ve had more than few people ask me if I am having second thoughts about my choice of the Fujifilm’s X-Series? I constantly evaluate my choices and think about if a system change might give me a significant advantage, all serious shooters do. To answer that question for you and myself I need to go back to the reasons I switched to Fujifilm in the first place. Number 1: Size and weight. My Nikon full frame sensor gear was just to heavy. I had shoulder surgery and the aftermath was a great deal of discomfort lugging around heavy full frame bodies and lenses, I had to get something lighter, I had no choice! Number 2: Quality Images: If I was gong to give up the quality of files I was getting from my Nikon’s I wanted a system that had lenses just as good and sensors that could produce equal results, but in a smaller form factor. On the basis of those two requirements I went with the Fujifilm X-Series. After 6 years I can say that the Fujifilm bodies and lenses have given me just what I wanted, a high quality set of bodies and lenses that are smaller and ligter than their Nikon equivalents. Do any of the new offerings tempt me? I really like the Olympus OMD-1 MK II, but the smaller sensor would cost me the exceptional high ISO, low noise I get from the APS-C X-Trans sensor, so that is a “no go” for me. The Nikon and Canon offerings look nice, but though smaller than conventional Nikon and Canon bodies, the lenses are still huge, so nope, their not going to work for me either. I think Pentax makes great stuff but their supporting system is just not as vast. So, it’s not going to work for me. Sony has a lot going for it and seems to be in the forefront technologically over it’s two competitors, Nikon and Canon, but once again, big sensor, big lenses, no thanks. Frankly I love the controls of the “throw back” designed Fujifilm bodies, the quality of construction and magnificent optical performance of the Fujifilm glass, I especially love the number of fast single focal length lenses Fujifilm offers, I love them all and own them all! The wonderful firmware update system that keeps improving their bodies, and their responsiveness to what Fujifilm owners are asking for, and getting. They offer an affordable medium format camera and are about to offer, (rumor), a second body, that will be even more affordable! The addition fo the 200mm F2 and converters makes for a very complete system! In case you’re listening Fujifilm, we still would lov ea 120mm f 2.9 Macro, a tilt/shift lens, maybe a full frame fisheye and my personal greatest desire, a 70mm f 2.5 Fujicron, that would be a 105mm f 2.5, anyone remember that!!!! It worked fantastic for Nikon, you ought to give it a try!!!! So no, I am staying right where I am and this is not a knock on any of these fine brands and their gear! I’m sure for many photographers there will be a lot of happy campers with other brands! Every photographer has personal likes an dislikes and the Fujifilm gear fits me perfectly, but it may not fit you the same! What is happening in the camera industry is healthy and will give us more choices and more choices is never a bad thing. It also raises the bar as each of these companies keep improving focusing, exposure, color quality, low noise at high ISO, and build quality, it also keeps everyone on their toes, competing and that is a great thing for you and I!!!! So, no, I’m staying right where I am, but it’s exciting to watch!!! !